In Le Gros’ work, Religion hurls down thunderbolts upon an old woman representing Hatred while a male figure of Heresy writhes vanquished beneath; to reinforce the point, a putto cheerfully tears pages out of a volume by the Swiss reformer Zwingli, and a tome beneath the figure of Heresy bears Luther’s name prominently on its spine. In a similar vein as Le Gros’ masterpiece stands Pope Gregory XVI’s 1832 encyclical, Mirari Vos, On Liberalism and Religious Indifferentism. Written during a time of great political and ecclesial tumult, and by a pope only in the second year of his pontificate, Mirari Vos employs the full authority of the papacy to boldly combat error. The language is direct and triumphalist in tone, differing significantly from what we have seen so often in recent years. Pope Gregory is also succinct in stating his purpose. At a mere 24 paragraphs total, Mirari Vos is most effective in part because of its brevity. In the wake of the modern ecumenical movement and interfaith discussions, and at a time when religious truths often play second fiddle to religious liberty, the triumphalist language found in Mirari Vos is refreshing. 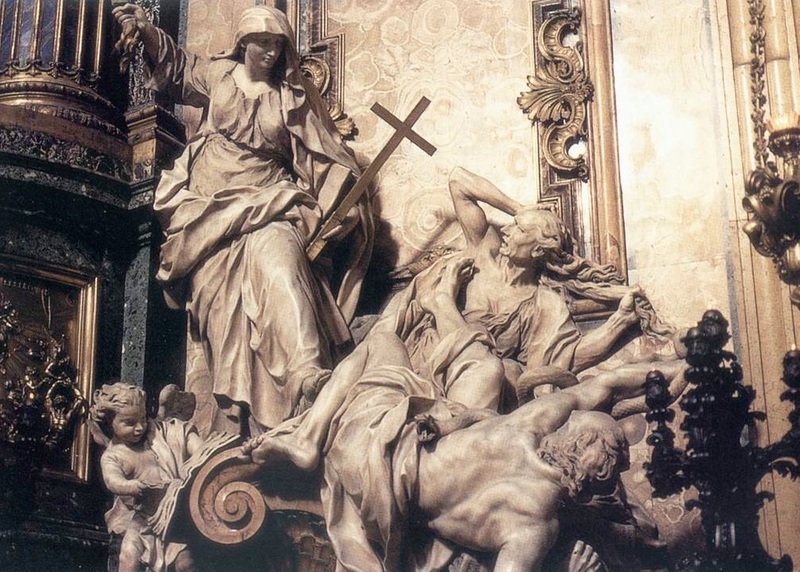 As in Le Gros’ masterpiece in the Church of the Gesù, pray that we will once again see heresy and error condemned with such boldness by the Holy Father and his brother bishops. Mercy and charity call for no less than this. An earlier version of this post originally appeared at OnePeterFive on June 22, 2015.